Spot LLC, a leader in satellite messaging and emergency notification technology, has partnered with Backpacker Magazine for the 11th annual Get Out More Tour, a national event designed to inspire others to live healthy, active lifestyles outside. For the third consecutive year, integrated SPOT satellite technology allows retailers, sponsors and fans to follow the tour online from town to town. The tour kicks-off on April 7th in Raleigh, North Carolina and runs through December 8, 2011. 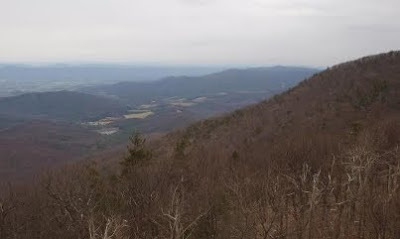 New air quality webcam for Shenandoah N.P. New webcam websites were launched early last week for Shenandoah and Hawaii Volcanoes National Parks. These sites are now part of the NPS air quality webcam network (that includes the Great Smoky Mountains) and present current air quality and meteorological data in conjunction with digital images of current conditions at each of the parks. NPS air quality webcam sites also provide links to NPS natural resource information and reach an average of half a million virtual visitors each month. For a live view please click here. Jennifer Pharr Davis will at Blue Ridge Books in Waynesville this Saturday to discuss her book, Becoming Odyssa: Epic Adventures on the Appalachian Trail. The book chronicles her adventures, experiences and challenges during her first A.T. thru-hike just out of college in 2005. Davis became a local celebrity in 2008 when she set the women's speed record by completing the entire length of the 2175-mile Appalachian Trail in just 57 days, 8 hours and 35 minutes - averaging 38 miles per day - with no rest days! Blue Ridge Books is at 152 S Main Street in Waynesville, and the book discussion will begin at 6 p.m. Click here for more information. You can also click here for more information on the book. In the "Rip & Go" section of the March issue of Backpacker Magazine there's an article on hiking the Thunderhead Loop in the Great Smoky Mountains. The monthly column describes a three-day, two night backpacking trip that begins at the Great Smoky Mountains Tremont Institute near Townsend. Some of the highlights of the 27.9-mile hike include Spence Field, Rocky Top, Lynn Camp Falls and the Middle Prong of the Little River. This is a great loop option, especially if you're considering doing this in early-mid June: you'll have the added benefit of seeing the incredible show of Mountain Laurel atop Spence Field at that time. 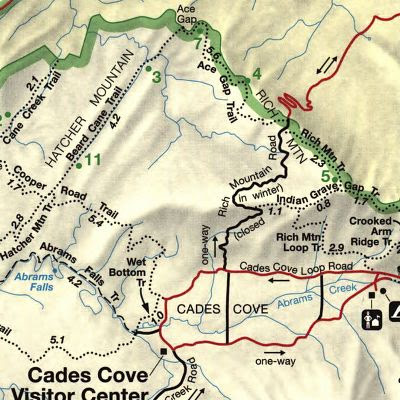 Hikers have reported extensive damage to Beard Cane and Cooper Road trails in the Abrams Creek area. Severe storms in the area have resulted in numerous downed trees. Beard Cane is reported to be impassable. On Saturday, May 7, from 9 a.m. to 5 p.m., the Appalachian Trail Conservancy’s Visitor Center in Harpers Ferry, WV will celebrate the spring hiking season. May marks the arrival of northbound thru-hikers from Georgia and an upswing in day-hikers and overnight hikers out to enjoy the milder temperatures. Festivities will feature an official unveiling of new visitor center exhibits and displays, kids’ and Leave No Trace activities, and stories from recent thru-hikers. Admission is free and all are welcome to attend. Last year a group of European nations endorsed a project to extend the International Appalachian Trail across the Atlantic. Over the weekend, Ireland announced that it will officially become a part of the IAT. The original Appalachian Trail, completed in 1937, extends roughly 2175 miles from Springer Mountain in Georgia, to Mt. Katahdin in Maine. Between 1995 and 2002, the AT was extended north into Canada. This extension, known as the International Appalachian Trail, treks 1900 miles from Mt. Katahdin to Belle Isle in northern Newfoundland. Although this extension of the AT is completely logical, as the Appalachians extend all the way into that part of Canada, the rationale for the extension into Europe and North Africa is a little tenuous, at best. The Appalachian range was created millions of years ago when the continental plates of North America and Europe collided. After the continents split apart, the mountains of eastern Europe and North Africa would became known as the Caledonian and Atlas Mountains. Thus, as the thinking goes, since the multiple mountain ranges were once part of one super range, it follows that the Appalachian Trail should traverse the entire historical range on all three continents. The new Irish link will start at the spectacular coastal cliffs of Slieve League in County Donegal and extend to the stunning Antrim coast, finishing in Ballycastle, and for the most part, will use existing trails. Sometime within the next decade it's very possible that the Appalachian Trail's northern terminus could end in Maine Woods National Park instead of Baxter State Park. Mount Katahdin would still be the final destination for thru-hikers, but the mountain would lie in a new national park if one philanthropist has her way. The multi-millionaire founder of Burt's Bees, Roxanne Quimby, is proposing to give more than 70,000 acres to the federal government, a tract that lies just east of Maine's Baxter State Park. Her vision is to combine her land with the state park in order to create a 280,000-acre Maine Woods National Park. Quimby wants to time her donation in five years to the 100th anniversary of the creation of the National Park Service. For more information on the Maine Woods National Park, you can read about the land donation proposal and the vision for the park. Backpacker Magazine is offering a four-week online tutorial in April for those looking to become navigational experts. Backpacker will use photos, videos, and map displays to show you how to plot a bearing, create a Google Earth flyover, save GPS waypoints, geotag photos, and much more. By the end of the course you'll be able to navigate confidently in trail-less terrain and profit from a whole new range of online mapping tools. For anyone who wants to explore off-trail wilderness or lead a group in the backcountry, this is an essential body of knowledge - and it's taught by real backpackers with decades of navigation experience. The dates for the webinar are April 5, 12, 19 and 26, and the cost is $300. For more information, and to sign-up, please click here. As the primary fundraiser for the Blue Ridge Parkway, the Blue Ridge Parkway Foundation announced on Thursday that they will be providing $500,000 in funding for park projects and programs. * $200,000 will go towards the construction of a new 1,200 square foot communications center building at the Blue Ridge Parkway Headquarters in Asheville. The building will house the Parkway’s interagency dispatch operation which forms the vital link and nerve center for the system of 34 microwave transmitters and receivers at ten locations serving the entire park (plus 2 NC state parks, US Forest Service, Veteran’s Administration, and King’s Mountain NMP with vital radio service). * $105,000 will be allocated to Parks As Classrooms, one of the flagship programs funded each year by the Blue Ridge Parkway Foundation since 1998. * $65,000 will be needed to purchase portable (handheld) radios and a base station in order to access the North Carolina Voice Interoperability Project (Plan) for Emergency Responders. To view all the other projects the Blue Ridge Parkway Foundation will be funding this year, please click here. Effective today, the Auxier Ridge area of the Red River Gorge is reopened to the public, including Tunnel Ridge Road and all trails. Forest Supervisor Frank Beum of the Daniel Boone National Forest ordered the Auxier Ridge area closed last October after a destructive wildfire burned 1,640 acres. The fire was illegally set during a declared fire ban under drought conditions. “Since the wildfire, we have been working to restore the Auxier Ridge area and make it safe for visitors,” said Dave Manner, District Ranger of the Cumberland Ranger District. Following the Auxier Ridge wildfire, Forest Service specialists spent several weeks assessing resource damages on soil, water and vegetation. Along the ridge tops, where the fire burned extremely hot, the damages were extensive. Under exceeding drought conditions last October, the fire burned tree roots underground, causing trees to fall or become unstable. The burned tree roots caused soil to collapse, creating trenches across some trails. In some areas, burned-out stump holes were nearly two feet deep. Trees and rocks slid downhill, requiring extensive cleanup efforts. Throughout the Auxier Ridge area, trees remain standing but damaged. Many trees are nearly severed at the base, which could become hazardous during high wind. No fires bans are declared at this time in the Daniel Boone National Forest. The three individuals who were responsible for the fire (via an illegal campfire), have never been caught. For more information on hiking in Red River Gorge, please click here. With the Spring Wildflower Pilgrimage just one month away, the Great Smoky Mountains Association has published a short video from last year's event that features close-up views of many of the wildflowers that can be found in the Smokies. Yesterday, managers for the Blue Ridge Parkway announced the opening and closing dates for all BRP facilities in 2011. * Linville Falls, April 1 – October 31. * Otter Creek, April 1 – November 1. * Doughton Park, (under construction) mid July – October 31. * Peaks of Otter, May 13 – November 1. * All other Parkway campgrounds May 13 – October 31. To view the opening and closing dates for all visitor centers, concessions and picnic areas along the Blue Ridge Parkway, please click here. As announced earlier in the year, a Hall of Fame is being established by the Appalachian Trail Museum Society to recognize those who have made a significant contribution toward establishing and maintaining the 2,181-mile Appalachian Trail. "The Appalachian Trail Hall of Fame is a natural fit with the museum that opened last June," said Larry Luxenberg, president of the Appalachian Trail Museum Society. "The trail and the museum represent the collective efforts of volunteers who have made countless contributions in ways that are as varied as the personalities who have been involved. The hall of fame will recognize those people who have unselfishly devoted their time, energy and resources toward making the Appalachian Trail a national treasure." As part of that announcement, the museum has been soliciting nominations for the hall from throughout the hiking and trails community. The nomination period closes on March 31, 2011. The museum is encouraging folks to continue to send in nominations, regardless of whether the person you’d like to nominate has already been named or not. Nominees will be formally inducted into the hall during the first annual Appalachian Trail Hall of Fame Banquet on Friday evening, June 17, 2011. 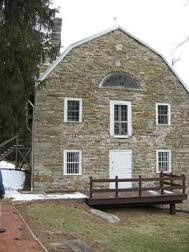 Located in a 200-year-old, restored grist mill in historic Pine Grove Furnace State Park and at the midway point of the 2,181-mile-long Appalachian Trail, the museum is across from the Pine Grove General Store on Pennsylvania Route 233 in Cumberland County. 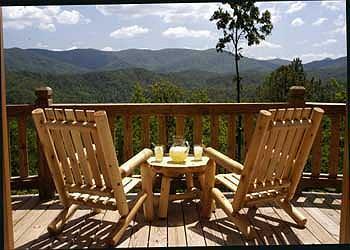 Need a cabin or chalet for your next visit to the Smokies? Check out the cabin and chalet listings on our hiking trail website. With the addition of several new advertisers, the number of listings on our site continues to grow. You'll find a variety of overnight lodging opportunities in Gatlinburg, Pigeon Forge, Townsend, as well as on the North Carolina side of the Smokies. 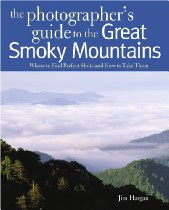 Supporting our advertisers helps maintain HikingintheSmokys.com and this blog. To view all of our listings, and find that perfect cabin, please click here. 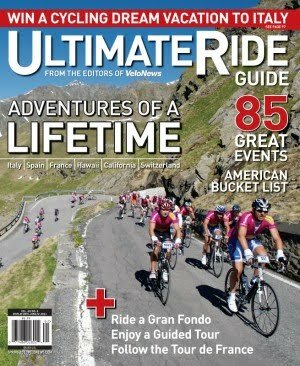 I know there are quite a few cyclists that read this blog, so I wanted to make you aware of the VeloNews Ultimate Ride Guide that hit newsstands yesterday. The Guide spans across world-class riding at home and abroad, with special sections focusing on Italy, France, Switzerland and Spain, as well as U.S. events like Levi Leipheimer’s King Ridge Gran Fondo, and Ryder Hesjedal’s Maui Cycling Camp. 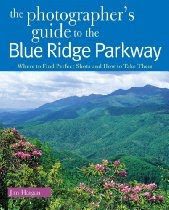 It also provides information on rides such as the self-guided trip along the Blue Ridge Parkway. Most of the rides detailed are organized events, where, at the very least, the course is set out for you and some level of structure is provided. This sounds like a great resource for anyone looking to expand their cycling horizons, so I'll be checking it out myself next time I visit the local book store. Cumberland Gap National Historical Park's Hidden History Lecture Series continues with an exciting opportunity to hear about the life and work of renowned Appalachian photographer Earl Palmer from Dr. Jean Haskell, the woman who wrote the definitive book on the "Blue Ridge Mountains' Roamin" Cameraman." Palmer spent his life photographing the southern Appalachian Mountains, its people and their daily routines. His work appeared in Life and National Geographic. Cumberland Gap has an extensive collection of his iconic photos and opened an exhibition of his work yesterday at the national park visitor center. "Earl Palmer's work is immediately recognizable," explains Park Historian Martha Wiley. "While organizing our historic photograph collection, this extraordinary group of photos really popped, catching our attention! We are very excited to be able to share them with the public. Many of them showcase scenes of Hensley Settlement and its residents before the national park was established and also feature Thomas Jefferson Cupp, a mountaineer who lived near the settlement." To kick off the exhibit, Dr. Haskell, author of "The Appalachian Photographs of Earl Palmer," will present a program on Palmer and his work at 2 pm on Saturday, March 26th. Dr. Haskell has worked tirelessly to promote the study of Appalachia, having co-edited the "Encyclopedia of Appalachia," has served as the director of the Center for Appalachian Studies and Services at East Tennessee State University and also as the president of the Appalachian Studies Association. There will be a reception and book-signing following Dr. Haskell's presentation. Her book on Earl Palmer is available for purchase at the park bookstore, operated by park partner Eastern National. The Hidden History Lecture Series, co-sponsored by the Friends of Cumberland Gap, is free of charge. For additional information on park programs, please call (606) 248-2817, extension 1075. For more information on Cumberland Gap NHP, please click here. A major, week-long search for missing backpacker Chad Hunter came to a happy conclusion Sunday evening when he showed up at the Tricorner Knob Shelter on the Appalachian Trail, and hikers there notified park dispatch. A three-person NPS team, including two medics, immediately set out for the shelter, arriving there at 2:30 a.m. They treated Hunter for minor injuries and dehydration and provided him with warm clothing and equipment. Because of the remote location, a decision was made to evacuate Hunter on Monday by helicopter instead of via a large ground carryout operation. An NPS helicopter sent to the site was unable to land due to high winds, so a Tennessee Highway Patrol helicopter with a hoist was used instead. Hunter was lifted out, flown to the Gatlinburg-Pigeon Forge Airport, and reunited with his family. He was then taken by Sevier County ambulance to LeConte Medical Center in Sevierville for evaluation and treatment. Rangers accompanied Hunter to the hospital to debrief him on his ordeal in the Smokies. Hunter had originally planned to complete a four-day hike on Thursday. His family reported him missing on Friday. 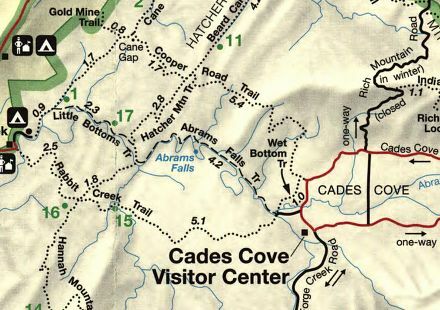 Hunter told the rangers that he’d spent the night of Monday, March 14th, at Campsite 32 as scheduled and on Tuesday hiked into Greenbrier up the Ramsey Cascades Road to the Ramsay Cascades Trail to its end at the falls. He climbed past the falls and hiked cross-country along Ramsay Prong for about half a mile, but found the going very steep, rocky, and blocked by obstructions, so he decided to make his way up towards the ridgeline instead. By Tuesday night he realized that he was off course and he camped that night with his sleeping bag and other gear. On Wednesday, he made extremely slow progress due to dense rhododendron and estimated that it had taken him six to seven hours to cover just over a half mile. At that point he decided to abandon his pack because it was continually snagging on the heavy brush, slowing his progress. He hoped that without his pack he could make faster time and reach his goal of Tricorner Shelter more easily. On Wednesday evening, he reached a relatively flat and somewhat open area, where he stayed until Sunday morning. During this time, he had only the clothes he was wearing plus a fanny pack with a little food and a headlamp – but no sleeping bag or other overnight gear. He said that he melted snow for water until Sunday, but had no other food after his small supply ran out. On Sunday morning, he set out first light; he considered going back down, but chose to continue up to the AT instead, ending up at the shelter. Woolrich, the Original Outdoor Clothing Company®, has teamed up with Travel Alberta to give away a railroad adventure for two through the Canadian Rockies in the Woolrich Adventures Sweepstakes. “The Woolrich Adventure sweepstakes links the rich travel heritage of Woolrich with one of the most spectacular and historic mountain regions in the world,” said Brian Mangione, Executive Vice President. No Purchase Necessary. Woolrich Adventures Sweepstakes is open to U.S. residents 18 years and older. Sweepstakes is from March 1, 2011 until August 1, 2011 at 11:59PM ET. For entry and official rules visit www.woolrichadventures.com. The third annual Horace Kephart Weekend will be held on April 29 - May 1, in Bryson City, North Carolina this year. The three-day event celebrates the life and works of author and national park advocate Horace Kephart. Kephart first came to the Great Smoky Mountains in 1904 looking for a fresh start in life. He moved into an abandoned cabin on a remote tributary of Hazel Creek where he pursued his passions for hiking, camping, fishing, hunting, and generally living off the land. During the 1920s, Kephart and his friend, accomplished photographer George Masa, campaigned to establish the Great Smoky Mountains as a national park. Kephart wrote letters, articles, and a booklet championing the cause, while Masa contributed with his landscape photography. Together they raised awareness of the significance and beauty of the Smokies, and sounded the alarm over the devastation brought about by industrial logging. On Friday, April 29th there will be a guided hike to Kephart's Hazel Creek cabin site. Space is limited (and there is a cost involved). For more information and to sign up, e-mail horacekephartinfo@yahoo.com. For more information on other events, please click here. Backpackers may want to note that the permit station at the Oconaluftee Visitor Center has been temporarily moved. During construction of the new visitor center, the backcountry permit station has been moved to the the patio of the current visitor center, near the pay phone. Attention Hikers and Horse Riders: Gasline Road from Route 611 to Skyline Drive will be closed for two to three days during a planned prescribed burn in late March or early April. If you are planning to visit this area during that time period, please check our website before leaving home to be sure the road will be open. Weather and other factors will determine the exact date of the burn. In the "Rip & Go" section of the January issue of Backpacker Magazine there's an article on hiking the Big Creek Loop in the Great Smoky Mountains. The column describes a two-day, one night backpacking trip in the northeastern part of the park. Some of the highlights of the 16.4-mile hike include Mouse Creek Falls and the Mt. Sterling fire tower. Also included in the article is some information on a seldom-seen, 150-foot waterfall that spills off of 6,234-foot Luftee Knob - - just off the Gunter Fork Trail. The Great Smoky Mountains Institute, in conjunction with Road Scholar, is offering a week-long spring hiking seminar next month. Led by the education staff of the GSMIT, daily hikes will explore the cultural and natural history of the Smokies region with its unique traditions and rich biodiversity. Each day, between April 3-8, hikers will start off with a hot breakfast before heading out on the trail. Daily hikes of 5 to 13 miles will bring you into contact with the varied plant life, wildflowers, sparkling mountain streams, and breathtaking mountain vistas of the Smokies. In the evenings, enjoy a fine meal at the Institute followed by Appalachian music and stories or educational sessions. Program lasts from Sunday supper through Friday breakfast. At $533, the program isn't for everyone, but if you're looking for an educational experience while hiking, and a chance to meet new hiking friends, this is a perfect option. Need some fresh air to clear your mind? How about a stroll through a garden to mellow out the stress of a busy day? Or maybe winter has packed on a few extra pounds, and it's time to hit the bike trails again. America's 394 national parks offer many close-to-home opportunities for outdoor recreation. A growing number of doctors even write "Park Prescriptions" to get patients outside and active. The growing connection between public lands and public health is the focus of National Park Week, April 16-24. Entrance to all national parks is free throughout the week. "National parks have always been great places to go on vacation, have fun, and learn something, but for millions of Americans national parks are also a daily part of a healthy lifestyle," National Park Service Director Jonathan B. Jarvis said. "If you've never thought of your national parks that way, we'd like to invite you to come out to see how parks can help you meet your fitness goals. Getting outside and moving is the first step." In addition to waiving entrance fees throughout the week, national parks and park partners are offering programs as part of National Park Week festivities, including Shenandoah National Park, Congaree National Park and Stones River National Battlefield. For more information on all of the special events scheduled during National Park Week, please click here. Blue Ridge Parkway managers plan to conduct a controlled burn totaling approximately 80 acres within a tract of forest near the Haw Creek Overlook (Milepost 380) in Asheville, North Carolina. This operation will occur today, and possibly tomorrow. In order to reduce the amount of smoke produced, managers plan to burn the area over a span of 1 to 2 days. The goals of the "Haw Creek Burn" are to use fire to reduce forest fuel accumulations and to restore a healthy and diverse ecosystem. Fire managers plan to use a series of low-intensity controlled burns over a number of years to restore the composition and open structure of the oak and pine forests that occur on upper slopes and ridges within the site. These plant communities, which need occasional fires to regenerate, are important to wildlife and overall ecosystem health, and they are in decline throughout the Southern Appalachian region. This series of burns on the Parkway will reduce the number of fire-sensitive trees and shrubs while increasing populations of oak and yellow pines, and increasing the cover and diversity of native grasses and wildflowers. 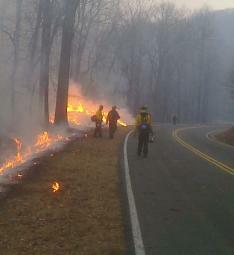 This is the first prescribed fire the Blue Ridge Parkway has attempted since completing a Fire Management Plan in 2005. Fire professionsals from Great Smoky Mountains National Park, Cumberland Gap National Historic Park, and the NPS Southeast Regional Office have helped write the plan, prepare the site, and will manage the fire. Parkway firefighters from North Carolina and Virginia will also be on the scene. The Parkway motor road may be closed during firing operations. The Mountains-to-Sea trail will be closed during and after burn operations as firefighters extinguish hot spots along the trail. This morning's NPS Digest is reporting that a construction worker was injured on Wednesday while working on the Foothills Parkway Project. NPS reports that Jesse Lee Powell, 23, of Bessemer City, North Carolina, was struck by a rock - measuring approximately four feet by two feet by two feet - that rolled about 20 feet down a steep slope and landed on him. Powell was clearing brush from the right-of-way along a section of the Foothills Parkway, which is under construction about ten miles east of Walland in Blount County. Powell was stabilized and lowered about 20 feet, then carried to a Rural Metro Ambulance. He was subsequently transferred to a Lifestar helicopter, which flew him to the University of Tennessee Medical Center where he was treated for minor injuries and released. An “other power-driven mobility device” is defined in the rules as: "any mobility device powered by batteries, fuel, or other engines — whether or not designed primarily for use by individuals with mobility disabilities — that is used by individuals with mobility disabilities for the purpose of locomotion, including golf cars, electronic personal assistance mobility devices, such as the Segway® PT, or any mobility device designed to operate in areas without defined pedestrian routes. This apparently includes ATVs as well. While this new rule currently applies to trails only on state or local government lands, it is expected to be challenged (presumably in court) to make the rule applicable on federal lands as well, including National Parks. American Trails has been providing a ton of information on the new rule. They've also compiled a list of FAQ's that helps to explain the rule in more detail. So I have to ask my fellow hikers, just out of curiosity, what are your thoughts on seeing/allowing Segways, golf carts or ATVs on the Appalachian Trail, the Little River Trail, the Rainbow Falls Trail, or any other trail in your favorite National Park? Do individuals with disabilities have the right to enjoy parks just as anyone else, or do power-driven devices impede on the rights of hikers wishing to escape modern civilization while enjoying nature and solitude, for which parks were originally intended? Warmer weather is literally just around the corner, which means prime hiking season has finally arrived. Need any new gear, trail maps or guide books? Check out our Smoky Mountain Hiker Store. We specialize in books and maps related to hiking, history and travel in the Smokies, Blue Ridge Parkway and the Southern Appalachians. Also, you may want to note that Backcountry and Altrec are holding end of season clearance sales right now. For more information and to see everything our store has to offer, just follow this link. The U.S. Forest Service announced two new prescribed burns for Western North Carolina this morning. The Grandfather Ranger District of the Pisgah National Forest is planning to implement prescribed burns near Lake James and Dobson Knob in McDowell County. The two burns will likely take place between now and mid April depending on the weather. The burn near Lake James is approximately 1,950 acres and will be implemented in conjunction with the North Carolina Wildlife Resources Commission. The Dobson Knob burn is approximately 2,350 acres and is completely on National Forest lands. The purpose of the burns is to reduce the amount of hazardous fuels in the forest, improve wildlife habitat, and maintain fire-dependent and fire-adapted species. In 2011, approximately 24,000 acres of prescribed burns are scheduled on the four national forests across the state. The Pisgah, Appalachian and Grandfather Ranger Districts in Western North Carolina are working towards increasing the amount of acres treated annually as budgets allow. The Appalachian Trail Conservancy (ATC) will hold two ceremonies celebrating Dahlonega and Blairsville/Union County Georgia’s designations as the newest Appalachian Trail Communities™ with a proclamation signing and speakers, including local and regional leaders. Launched in 2010, the Appalachian Trail Community™ designation program recognizes communities for their part in promoting awareness of the A.T. as an important national asset. Towns, counties and communities along the A.T.’s corridor are considered assets by A.T. hikers and many of these towns act as good friends and neighbors to the Trail. On March 18, Dahlonega will host a designation ceremony downtown at Hancock Park at 1:00 pm, and will kick off Dahlonega’s first trail fest, Spring on Springer. Special guests for the designation include Mayor McCullough and other leaders. The festival offers in-town camping, mountain and folk music, nationally recognized authors and long distance hikers, workshops on camping and outdoor topics and children's activities. Guided hikes will include local history tours, including the gold mining heritage of the town, and nearby trails, including the A.T. Hiker shuttles will be available for those backpacking on the A.T. Equipment vendors and informational booths will be set up around the park. For more information about the Trail festival click here. On March 22 at 11:00 am, the designation ceremony for Blairsville and Union County will take place on the Appalachian Trail at the famous Mountain Crossings at Walasi-Yi (prun: Wa La See Yee). The historical building was built by the Civilian Conservation Corps at the same time the A.T. was constructed. The A.T. itself passes right through the building, where hikers can have their pack’s contents evaluated by store staff. Each year, staff evaluates over 500 packs and ships back over 9000 lbs of unnecessary gear from the store. “Over the past 30 years Mountain Crossings and the people of Union County have served the hiking community graciously and unselfishly. This A.T. designation, through this celebration, is a grand tribute to all who have extended their hand of hospitality to the A.T. dreamers, who visit our home along the A.T.,” stated owner Winton Porter. Guest speakers include Mayor Jim Conley, Commissioner Lamar Paris, ATC board chair Bob Almand and other leaders. These communities are celebrating and welcoming hikers setting out to hike over 2,000 miles, those who enjoy shorter sections of the A.T. as well as local citizens who may use the iconic Trail regularly. Blairsville’s ceremony will highlight the importance of Blairsville and Union County’s designation and highlight students who are using the Trail as an educational resource and tool. The volunteers of the Georgia Appalachian Trail Club (GATC), one of ATC’s 31 A.T. maintaining clubs from Georgia to Maine, lead the maintenance, management and protection of the A.T. in Georgia, in cooperation with the ATC, Chattahoochee NF and Georgia DNR. The GATC works closely with Dahlonega and Union County to make the most of this new program. Almost 350 volunteers and Great Smoky Mountains National Park staff got together on the evening of Saturday, March 4th, for the park’s annual volunteer recognition banquet at the Park Vista Hotel in Gatlinburg. Last year, a total of 3,700 individuals donated more than 135,000 hours to the park, an increase of about 10,000 hours (7.4%) from 2009. The Smokies ranked first in the Southeast Region and fifth in the NPS for its volunteer service in 2010. Recognition at the event ranged from three middle-schoolers who received Youth Presidential Service Awards for 50 hours of work at a visitor center, to hand-made glass tiles presented to six VIP’s who have tallied over 10,000 hours of lifetime service. Volunteers at Great Smokies are integrated into virtually every phase of park operations from facility management to administration. The event was sponsored by the Great Smoky Mountains Association, which funded both the banquet and the wide range of recognition items which were distributed to volunteers. Thanks to all the volunteers that help make the Smokies special!! The Conservation Trust for North Carolina announced yesterday the sale of 110 acres to the Blue Ridge Parkway in Haywood County. The National Park Service purchased the 110-acre Richland Creek Headwaters Tract, near Milepost 440, in February for $500,000, less than half of the appraised value of the entire parcel. The conservation group purchased 64 acres of the tract in April 2010 from Joe and Wilma Jo Arrington using private donations and grants from the N.C. Clean Water Management Trust Fund and the Pigeon River Fund. The couple also donated an adjoining 46 acres in June 2010. The Richland Creek Headwaters tract provides a spectacular backdrop for Blue Ridge Parkway travelers – especially from the Waynesville and Saunook overlooks – near the boundary of Haywood and Jackson counties in the Great Balsam Mountains. The land lies between Nantahala and Pisgah National Forests and near the 32,000-acre Roy Taylor Memorial Forest, and 12 miles east of the Great Smoky Mountains National Park. For more information on the tract, please click here. This Saturday the Swannanoa Rim Explorers will hold another hike in their year-long series, this time, hikers will visit Weatherford Heights. The Swannanoa Rim Explorer hiking series is an exclusive program of the Swannanoa Valley Museum, and offers several hikes throught 2011. Each hike will cover a portion of the approximately 31 miles of the Swannanoa Rim, which runs from Jesse’s High Top, across Lakey Gap, over Ridgecrest and Montreat, up to the Blue Ridge Parkway, and down to Cedar Cliff above Camp Rockmont. These hikes will be led by experienced hikers who are also extremely knowledgeable about the history, topography, and ownership of the land. For those interested, meet at 8 AM at the Black Mountain Savings Bank. Bring a bag lunch to eat on site. Cost is $10 for members and $20 for nonmembers. Reservations are required. Call 828-669-9566 or email info@swannanoavalleymuseum.org for more information or to register. A section of the Appalachian Trail in Pine Grove Furnace State Park in Pennsylvania will soon be relocated so it passes by the front door of the Appalachian Trail Museum, which opened last year in the park. "This is just one of many exciting changes that we are working on before we open the museum for its second season on Saturday, April 2," said Larry Luxenberg. president of the Appalachian Trail Museum Society. "Second phase development and new exhibits are being planned, and we have an extensive effort underway to offer programs on Sunday afternoons for all ages, especially children. Of course, all of this takes resources." Luxenberg said the museum board of directors and others are actively seeking financial contributions in order to receive a $50,000 matching grant that has been offered to the museum. In order to receive the $50,000, a like amount needs to be raised from other sources. The Appalachian Trail Museum depends completely on private donations for operating funds. Equally important is the need for volunteers to serve as museum docents, maintenance team members and program leaders. Luxenberg said program leaders will educate the public, inspire young people, entertain children, preserve the Appalachian Trail’s natural environment, spotlight the trail's rich history, acknowledge the trail's pioneer hikers, and in general celebrate all those who contribute to the Appalachian Trail community. Other topics are invited, and they may be submitted to info@atmuseum.org for consideration. Anyone interested in being an Appalachian Trail Museum volunteer may respond to atmuseumgreeters@gmail.com or 717-486-4083. Additionally, Loose said there probably will be hikes led by program leaders who will tie a hike to a specific topic, such as plants and other life along the Appalachian Trail. The USDA Forest Service, Southern Region, is hosting a public forum on the Proposed Forest Planning Rule. The purpose of the public forum is to increase public understanding of the proposed planning rule, and to provide an opportunity to ask questions and dialogue with other stakeholders. On February 10, 2011, the USDA Forest Service unveiled its proposed Forest Planning Rule which would establish a new national framework to develop land management plans that protect water and wildlife and promote vibrant communities. The proposed rule is the result of an open, collaborative rulemaking process that began in December 2009. The open forum will take place at the NC Arboretum in Asheville on April 4, 2011, 2:30 - 6:00 p.m. Click here for a draft agenda. You can also click here for more infomation about the national planning rule. Join Elizabeth and Jill from the Great Smoky Mountains Association for a winter hike to Baskins Creek Falls, one of the less visited waterfalls - and one of the most underrated falls in the park. For more information on the hike to Baskins Creek Falls, please click here. The National Park Service yesterday launched a new state-by-state suite of web pages to communicate the breadth of the Service’s work. Although many people think of only national parks when they think of the NPS, the agency’s work touches almost every county in the country – regardless of its proximity to a national park. Truth is, communities invite the NPS to work with them and help them by providing expertise and grants, reviewing tax credit projects, and making surplus federal land available for parks and recreation facilities – and more. The goal of the pages is to tell the full story – what the NPS does in 394 parks and a multitude of national programs that benefit communities. * Historic Rehabilitation Tax Incentives. * More programs will be added in future phases. The pages include a beta version of an interactive map that shows national parks and additional layers that show national program activities. Because it’s a beta version, the NPS will continue to refine and improve the map, including making parks more visible. The list view is another way to explore the map layers. From the new pages, we learn, for example, that Tennessee has 12 National Park units that saw 7,898,557 visitors in 2010, and generated $501,305,000 in economic benefits through tourism (in 2009). We also learn that 176,478 hours were donated by volunteers in 2010. Comparatively, North Carolina has 10 National Park units that received 17,093,464 visitors in 2010, and generated $707,241,000 in economic benefits through tourism in 2009. Volunteers donated 103,790 hours to national parks in the Tar Heel state in 2010. The site provides a lot more data, and links to individual park units, for those interested. Earlier this week Trails Forever announced their schedule for volunteer workdays for the year. This year, Trails Forever crews will continue work on the Forney Ridge Trail. In 2009 crews reconstructed about 1.2 miles of trail from the Clingmans Dome parking lot to Andrews Bald. 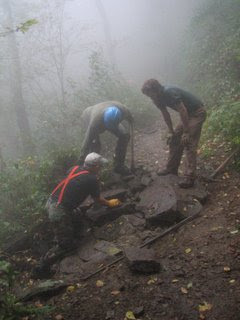 Completing the work on the remainder of the trail will be the primary project for the 2011 Trails Forever Trail Crew. Trails & Facilities Volunteer Coordinator, Christine Hoyer, has set aside a schedule of 72 days this year (between mid-May and mid-October), in which volunteers will be needed to help with this project. Volunteers will work to complete a variety of trail maintenance and trail rehabilitation work, from cleaning drains, modifying structures, constructing additional drainage features, and adding fill material to structures as needed. There will be a limit of 5 volunteers for each of the Forney Ridge Workdays and you must sign up at least one week in advance to volunteer with the crew! Hoyer also announced two "Saturday in the Smokies" workdays: Saturday, June 4 (National Trails Day), and Saturday, September 24 (National Public Lands Day). Both trail project locations are to be determined at this point. For more information, and to sign up, contact Christine Hoyer, Trails & Facilities Volunteer Coordinator at 828-497-1949 or christine_hoyer@nps.gov. A series of prescribed burns are scheduled for Shenandoah National Fork and the Big South Fork National River and Recreation Area over the next several weeks. Prescribed burns are fires ignited on purpose by managers under a pre-determined set of conditions, called a prescription, in order to accomplish specific resource management objectives. The prescription includes weather, fuel moisture, and resource availability parameters. • Big Meadows: Portions of Big Meadows, the open area across from Byrd Visitor Center, are burned each year. In February, March or April, approximately 35 acres will be burned in the western portion of the field for the purpose of maintaining the open vista by preventing encroachment by woody species. • Vista Maintenance: As part of an ongoing project, the park will use fire to maintain open vistas by preventing encroachment by woody species at many scenic locations along Skyline Drive. Park staff plan to burn three to four vistas this year. • Jarman Gap Prescribed Burn: Two sections totaling 508 acres over two to three days in the early spring. This controlled burn is located in the South District from Sawmill Run Overlook to Jarman Gap. Its purpose is to improve habitat for yellow pine and oak communities which require fire to propagate. During the next 6-8 weeks, Big South Fork National River and Recreation Area fire crews will also be conducting a series of prescribed fires. Plans call for burns varying in size from 38 to 2,080 acres to occur at locations within park boundaries in both Kentucky and Tennessee. Ignitions are scheduled to occur in March and April when conditions are appropriate. For more information, please click here. Late last week, JanSport announced the launch of its video contest, What’s Your Outdoors, challenging the traditional definition of what it means to be outside. The contest invites people to share their favorite outdoor spot with JanSport’s community for the chance to win $10,000. Now through August 31, 2011, JanSport asks participants to film a 360-degree view of their favorite outdoor spot — whether it’s big or small, beautiful or weird. It could be the top of a mountain, the deep end of a pool, in the heart of the city or the furthest thing from it. As long as there is no roof, it qualifies. Once the spot has been captured, the videos are to be uploaded to jansport.com/whatsyouroutdoors, where all submitted videos will be added to a never-ending chain of submissions from around the world, creating a collective definition of what outside really is. Labels: Contest, JanSport, What’s Your Outdoors? According to a report on today's NPS Digest, the Natural Sounds and Night Skies Division has recently published three reference guides to help park staff and visitors reduce their noise footprints. • Turn off car alarms and disable sounds on electronic door locks. • Use alternative transportation such as shuttles. • Turn off vehicle engines when stopped at wildlife traffic jams, overlooks, or roadside pullouts. Idling vehicles create unnecessary noise. • Keep car radio volume at a low level to avoid disturbing other visitors. • Turn off radios and open windows to hear interesting park sounds. • Drive at posted speed limits (driving faster creates more noise). • Don’t rev it up! Ride motorcycles respectfully in parks. Titled "A National Park Guide: Protecting and Enhancing Soundscapes" is available publicly here. The Kinda Long March: in which a team of Chinese men travel to the United States for the first time to hike the legendary Appalachian Trail — and find its manicured paths a little wimpy. Outside Magazine has an excellent article in their March 2011 issue about six men from China who trekked across the Appalachian Trail in the Great Smoky Mountains (I assume last spring). 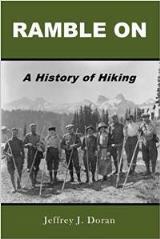 Yang Xiao, the author, compares and contrasts the trail and the park to the fledgling sport of hiking in China, and provides a pretty unique and interesting perspective of the park, hiking in America, thru-hikers and tourists. It's a great read! The N.C. Wildlife Resources Commission will hold its Becoming an Outdoors-Woman weekend workshop March 25-27, with 26 hands-on topics, ranging from wildlife photography to wilderness survival. Open to women 18 and older, the workshop will be held at scenic Camp Cheerio, a rustic setting in the mountains of Alleghany County. Cabins are dormitory style with bunk beds, indoor plumbing and hot showers, and can accommodate 8 to 10 women per cabin. Enrollment is limited to 100 participants, with registration on a first-come, first-served basis. The cost of the workshop is $220 and includes all instruction, program materials, and use of demonstration equipment, plus meals and lodging. Limited scholarships, made possible by the generosity of past participants, are available. For more information, call BB Gillen at (919) 218-3638 or click here. For further details on what the program offers, please click here (PDF). This year the U.S. Forest Service is celebrating the centennial of the Weeks Act, a landmark piece of legislation that led to the creation of our national forests. To help celebrate this significant event, the USDA Forest Service is inviting everyone to a Spring Forest Festival at the Bent Creek Experimental Forest on Saturday, April 2. Kids of all ages are invited to attend the special event dedicated to commemorating and sharing the many benefits provided by national and experimental forests of North Carolina. The event is free and open to the public. The Forest Service is conducting the celebration as part of the 100th anniversary of the Weeks Act, which led to the creation of Pisgah and other national and experimental forests in the East. The event will feature fun, educational activities, interpretive programs and presentations, a tour of Bent Creek and special guest Smokey Bear. The USDA Forest Service National Forests of North Carolina, Bent Creek Experimental Forest, and the Southern Research Station are hosting the event. The event will be at the Bent Creek Experimental Forest at 1577 Brevard Road in Asheville, on Saturday, April 2, 2011, from 10:00 a.m. to 3:00 p.m. The Weeks Act was signed into law in 1911, after a decade-long debate about the role of the federal government in protecting forest lands. The Weeks Act, named after Massachusetts Congressman John Weeks, allowed the use of federal funding to purchase forest land for conservation. The Weeks Act appropriated $9 million to purchase 6 million acres of land in the eastern United States. The success of the Weeks Act and its contribution to the conservation of natural resources in the eastern United States has been enormous. During the last 100 years, The Weeks Act led to the creation of 52 national forests in 26 Eastern states and the addition of 19.7 million acres on national forests and grasslands across 41 states and Puerto Rico. For some additional historical background, check out the "Heritage Restored" video on the Forest Service website. This 14-minute film was developed in celebration of the 50th anniversary of the Weeks Law in 1961. There's a lot interesting old footage in here, as you might guess. The Pisgah Ranger District of the Pisgah National Forest is planning to implement a prescribed burn in the Pink Beds area. The burn area will be up to 2,000 acres in size and will likely take place in the next six weeks depending on the weather. The purpose of the burn is to reduce the amount of hazardous fuels in the forest and to improve wildlife habitat. Forest Service Road #1206 (Yellow Gap Road), # 476 (Wolf Ford Road) and Sections of Pink Beds Loop trail (#118) and Barnett Branch (# 618) trail may be closed during the burn. Prescribed fire is a valuable wildlife and forest management tool. Many ecosystems throughout North Carolina include fire-adapted species. Many native plants and animals need fire in their habitats to reduce competition from invading species, and to add nutrients back into the soil. Prescribed burns can reduce build-up of shrubs and dead wood. Burning the same tract of land on a rotation of every three to seven years reduces the buildup of vegetation (fuel), and decreases the chance of severe wildfire. Smoke from wildfires usually has a greater impact on nearby communities and carries more pollutants than smoke from controlled burns. Prescribed burning also helps support strategic goals of restoring ecological systems to their natural resilience, restoring native vegetation, and protecting people and resources from catastrophic fires. For more information on prescribed fire please visit the U S Forest Service website; http://www.fs.fed.us/fire/management/ and the NC Division of Forest Resources website; http://www.dfr.state.nc.us. Voting will open tonight at 5:00 pm for the 8th Annual Appalachian Mountain Photography Competition People's Choice Award. 46 finalist images are now on display through June 4 at the Turchin Center for the Visual Arts on the Campus of Appalachian State University in Boone, North Carolina. A panel of jurors selected the images for exhibition from among all submissions and will soon return for the final round of judging to select category winners, bestow special mention honors, and select one image as best in show. You can cast your vote for the coveted People's Choice Award via a kiosk at the exhibition, or online at www.appmtnphotocomp.org. Voting closes at 5pm on Friday, April 1. The winner receives a $350 cash award furnished by Footsloggers Outdoor and Travel Outfitter in Boone and Blowing Rock. Categories for this years' competition include: Adventure, Blue Ridge Parkway Share the Journey® - Parkway Tree Project, Blue Ridge Parkway Vistas, Culture, Our Ecological Footprint, Flora/Fauna, and Landscape. Here's another via ferrata, or mountain route equipped with fixed cables and ladders wherever necessary. It's an experience somewhere between mountain hiking and all-out mountaineering. Although the eastern cougar has been on the endangered species list since 1973, its existence has long been questioned. The U.S. Fish and Wildlife Service conducted a formal review of the available information, and in a report issued yesterday, concludes the eastern cougar is extinct and recommends the subspecies be removed from the endangered species list. Reports of cougars observed in the wild examined during the review process described cougars of other subspecies, often South American subspecies, that had been held in captivity and had escaped or been released to the wild, as well as wild cougars of the western United States subspecies that had migrated eastward to the Midwest. During the review, the Service received 573 responses to a request for scientific information about the possible existence of the eastern cougar subspecies; conducted an extensive review of U.S. and Canadian scientific literature; and requested information from the 21 States within the historical range of the subspecies. No States expressed a belief in the existence of an eastern cougar population. According to Dr. Mark McCollough, the Service’s lead scientist for the eastern cougar, the subspecies of eastern cougar has likely been extinct since the 1930s. The Service initiated the review as part of its obligations under the Endangered Species Act. The Service will prepare a proposal to remove the eastern cougar from the endangered species list, since extinct animals are not eligible for protection under the Endangered Species Act. The proposal will be made available for public comment. The Service's decision to declare the eastern cougar extinct does not affect the status of the Florida panther, another wild cat subspecies listed as endangered. Though the Florida panther once ranged throughout the Southeast, it now exists in less than five percent of its historic habitat and in only one breeding population of 120 to 160 animals in southwestern Florida. Additional information about eastern cougars, including frequently asked questions and cougar sightings, is at: http://www.fws.gov/northeast/ecougar. Also, the Knox News Go Smokies forum has had an interesting on-going discussion about cougar sightings in the Great Smoky Mountains. Park files contain many interesting reports of purported mountain lion sightings. Every year, several additional reports are received. If, in fact, the animals being observed are mountain lions, they may be part of the original population as Culbertson suggested, or more likely, they may be captive animals that have either escaped or been released. Tennessee residents may legally possess captive western mountain lions; North Carolina residents may not. Mountain lions that have been found in eastern states have shown signs of being in captivity (tattoos, defanged, declawed, etc.). 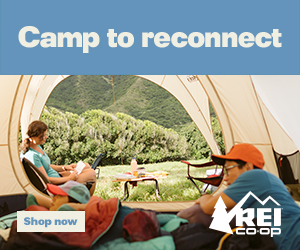 Official REI Coupons & Rebates page. This Saturday the Swannanoa Rim Explorer series continues with a hike to Upper Catawba Falls. This is a strenuous hike with a stream crossing - be prepared to wade. (Bring waterproof boots or grocery bags and rubber bands to cover your shoes!) Wear wool socks and bring an extra pair to change into afterward. Hiking poles are also helpful. From the Trip Leader: The hike is mostly level with a few up & downs and a steep downhill to the bottom of the upper falls. The trail is not a good open one and will include a few scrambles through brush, up & under logs, etc. The main thing one must understand is that there are numerous stream crossings. There are practically no safe rock hops & you should be prepared for wet feet. As you may know wool socks will keep your feet warm enough even when wet, so wear wool and look forward to wading the creek--which at most will be 5-6 inches deep. Bring a dry pair of socks for the hike's end. The out & back trip is probably 6 +/ - miles. For those interested, meet at 9 AM at the Black Mountain Savings Bank. Hikers will then carpool to Fortune Fields in High Rock Acres for the hike. Bring a bag lunch to eat on site. Cost is $10 for members and $20 for nonmembers. Reservations are required. Call 828-669-9566 or email info@swannanoavalleymuseum.org for more information or to register. Today marks the Appalachian Trail Conservancy’s (ATC) 86th anniversary. The ATC has been instrumental in managing and protecting the Appalachian Trail (A.T.) since its inception and continues to work hard to protect these lands. The ATC was founded in 1925 by volunteers and federal officials who were working to build a continuous footpath along the Appalachian Mountains. It is focused solely on preserving and managing the A.T. to ensure that its vast natural beauty and priceless cultural heritage can be shared and enjoyed today, tomorrow, and for centuries to come. The Trail’s national offices, with a visitors center open seven days a week, have been located in West Virginia near the Trail since 1972. The A.T. was the idea of Benton MacKaye, a forester and regional planner who proposed preserving a ribbon of connected wild lands as a tonic for the busy pace of urban life. Although the Trail was first completed in 1937, much of the original A.T. was on private land and roads. Over the years, the ATC has played a major role in managing and maintaining the A.T., primarily with volunteers, while also routing the Trail onto the wildest, most scenic lands of the Appalachian Mountains and securing a permanently protected corridor of land. In celebration of the ATC’s 86th anniversary, the organization will offer a 1-day only membership discount to the public on March 3rd. For more information or to become a supporter, visit www.appalachiantrail.org. Online registration began this week for the 2nd annual Blue Ridge Breakaway bike ride, which is scheduled for August 20th this year. The cycling event brought more than 300 riders to Haywood County last year. All routes will begin and end at the Lake Junaluska Conference and Retreat Center, located off Interstate 40 and U.S. 23/74. Riders will have the opportunity to explore the mountain valleys near Great Smoky Mountain National Park, Pisgah National Forest and in the shadow of Cold Mountain. The century ride will also include 30 miles on the scenic Blue Ridge Parkway. Rest areas with refreshments and facilities are conveniently located on all four routes. Are National Park Resources being Mismanaged?